Great new band from France, exciting electro-pop with clever lyrics. ‘Roses’ has been awaited since Béatrice Martin told CBC’s ‘Q’ programme in April 2014 that she was ‘writing songs in English now’. Its headline composition, the unique ‘Oublie-moi’ / ‘Carry on’, twin songs in French and English, was revealed with some panache on ‘La Voix’ on 5 April. Several songs were performed at the 2015 summer festivals. Despite this, the actual release on 28 August was quite an event, certainly for those who followed CdP’s twitter, where she marked progress to release almost daily. 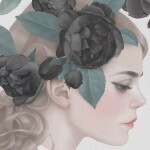 The full album – Coeur de Pirate followers need the ‘De Luxe’ version with 15 tracks – has some unusual and attractive new songs, a couple of disappointments, and one surprise. And they are all self-penned; she has explained here that she had the English-language lyrics ‘proof-read’ to ensure that they made sense. Béatrice starts off with ‘Oceans Brawl’, which begins with the sound of waves. She says this song is inspired by where oceans meet – Cape Horn – though the lyrics seem more a reference to her few wild teenage years -‘Told me lies, told me tales / Lived for bad and hit the rails / Hate you boy with what I know / Picked my love up with my bones / And then I’ll crawl’. This has been her introductory song at recent festivals. Then comes the ‘instant hit’ ‘Oublie-moi’ which as a single went to the top of the Canadian charts in April. ‘Oublie-moi’ is track 2, the English ‘Carry on’ is 11th on the standard CD, 13th track on the De Luxe album. 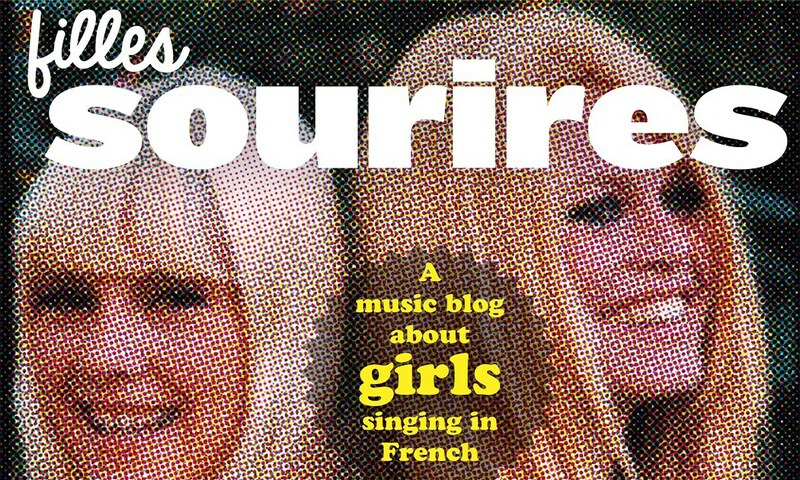 ‘Oublie-moi’ in particular is an absolute pop classic, likely to be played for years. CdP’s new solo piano version of ‘Oublie-moi’, not on the album, is here. This song puts Béatrice into the class of singers who can perform ‘anthem’ pop well – something that many try but can often fail at. Its first performance, at Echo Beach, Toronto, on 23 May, here, set the tone for a classic. ‘I don’t want to break your heart’ also first played at Toronto, is conventional in sound, despite interesting lyrics. Perhaps for the US market, CdP has kept her tradition of one duet with a male singer per album; in this case the rapper Allen Kingdom has a part which sounds not unlike Jay-Z’s lines in the original version of Alicia Keys’ ‘Empire State of Mind’. ‘Drapeau blanc’, first revealed at Francofolies in July, is about Béatrice’s relationship with her mother, she says. When she rebelled and gave up piano at 13, its distressed her mother, a concert pianist and leading teacher in Montreal. ‘Et j’abdique, j’abandonne, j’en ai brûlé ton drapeau blanc’ …. ‘Silence sur silence qu’on gardait lors des confrontations’. The tune is the least striking of the four songs in French. One looks forward to the writer discussing its lyrics more. ‘Undone’ is she says dedicated to her husband, Alex (the Parisian professional tatooer). Here the lyrics are good but the music less so – again a rather conventional tune. Then comes perhaps the finest track, ‘Tu oublieras mon nom’ which suggests parting, a frequent CdP subject in the past. ‘Et quand tu parles de moi, c’est la dernière fois / j’éteins, je danserai là-bas / Et tombe encore, tu promets cette fois / Tu oublieras mon nom’. ‘Our love’, which follows, is perhaps the one disappointing track – too much percussion and a conventional tune. It may be fine in the USA. There are then two ‘bonus’ tracks, ’The Climb’ (‘I don’t know if I’ll walk / If you’re not by my side’) and ‘Can’t get your love’, which is a very British sort of pop tune, the sort written for a short-career ‘pop star’ to make ‘Record of the Week’ on BBC Radio – but in Béatrice Martin’s hands is enjoyable enough to have been worth putting on the main album. ‘Carry on’ then appears to bookend the album, but on the De Luxe CD there is a second version of ‘Oceans Brawl’ and finally a real surprise: a dance remix of ‘Oublie-moi’ by Felix Cartal, which should put CdP into the clubs. One may guess that this is to avoid someone else doing a remix which Béatrice can’t control, and avoid a repeat of the rather poor 2012 remix of her classic, ‘Place de la République’, on Youtube. Eight of the tracks were produced in Stockholm by Björn Yttling, the Swedish hit-maker. Three were made in London at Ash Workman’s Church Studios (including ‘Can’t get your love’); and two, notably the lead version of ‘Oceans Brawl’ were produced by Rob Ellis in Bristol, West of England; he added sea sounds and a smooth tonal backing, which the Ash Workman version lacks. Could the album have been better? The French-language tracks are generally the best, and a 50/50 split would have been more welcome in France and Quebec. If the two ‘bonus’ tracks had been put in the main list, and ‘Our love’ (at least) ditched, Coeur de Pirate’s version of Renaud’s ‘Mistral gagnant’ would have been a popular ‘bonus track’. (See her RTL live studio version here.) At present it is only on the ‘La Bande de Renaud’ album, which CdP fans are unlikely to buy. And I would have imported the best of her covers from her 2014 album ‘Trauma’ – The National’s ‘Slow Show’ perhaps. Béatrice now has a large selection of songs.. As her set at Francofolies showed, she is better than ever on stage. It will be worth seeing which she decides to highlight on her autumn tour – and how her new English-language numbers fare in America.